Stills caught three of seven targets for 27 yards and threw a three-yard touchdown pass in Sunday's 42-17 loss to the Bills. He finishes the season with 37 catches for 553 yards and six touchdowns. Stills caught one of two targets for five yards during Sunday's 17-7 loss to the Jaguars. Analysis: Stills recorded his second straight game with only one reception, and his sixth such outing of the season. The 26-year-old didn't have much of a chance to put up numbers Week 16, given that quarterback Ryan Tannehill passed for only 146 yards during the loss -- 74 of which came on dump-off passes to his running backs. The boom-or-bust wideout has struggled to achieve fantasy relevancy all season, in large part due to Miami's low-octane passing offense. Stills corralled one of three targets for 17 yards in Sunday's 41-17 loss to Minnesota. Analysis: Stills was just 13 receiving yards short of Danny Amendola's team-high total, as the entire Miami passing game was nearly nonexistent with quarterback Ryan Tannehill throwing for only 108 yards. The boom-or-bust wide receiver will have a hard time getting back on track in Week 16 with star cornerback Jalen Ramsey and the Jaguars coming to town. Stills caught eight of nine targets for 135 yards and a touchdown in Sunday's win over the Patriots. Analysis: Stills came alive with his highest catch and yardage totals of the season and now has touchdowns in back-to-back weeks. The 26-year-old was the lone Dolphins' receiver to catch more than a single pass, as he was clearly Ryan Tannehill's favorite target Sunday. Tannehill suffered an ankle injury in the contest, and his status for next week at Minnesota will have a major impact on Stills' outlook heading into the game. 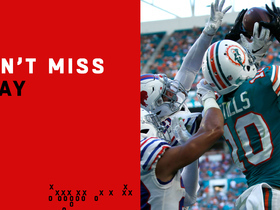 Stills brought in four of six targets for 37 yards and a touchdown in the Dolphins' 21-17 win over the Bills on Sunday. Coach Adam Gase said Thursday that he's placing more of an emphasis on trying to get the ball to Stills ahead of the Dolphins' Week 13 matchup with the Bills, Adam H. Beasley of the Miami Herald reports. "How are we not hooking up with [Stills] more?" Gase asked rhetorically. "That stretch when Ryan [Tannehill] left, we had a few opportunities down the field, but it was just something else always happened where we got too much pressure and we couldn't get him the ball. When he's had his opportunities, he's made the most of them for the most part." Stills brought in one of four targets for six yards during Sunday's 27-24 loss to the Colts. Analysis: Stills had a disappointing performance against Indianapolis' lackluster defense, even with quarterback Ryan Tannehill back under center. The 26-year-old has yet to recreate the success of his Week 1 outing, in which he reeled in four passes for 106 yards and two TDs. On the plus side, Stills led the Dolphins wideouts in targets Week 12, but he'll need to turn those targets into fantasy production to warrant fantasy consideration down the stretch. Stills is one of three healthy wide receivers on the Miami roster as the team rests up during a Week 11 bye, Omar Kelly of the South Florida Sun Sentinel reports. Stills caught two of three targets for 26 yards during Sunday's 31-12 loss to the Packers. Analysis: Stills was an afterthought behind the duo of Danny Amendola and DeVante Parker, who totaled 21 targets and 12 catches combined. He made a nice 18-yard gain at one point, but his only other catch was of the short variety in this quiet performance. Stills could see extra usage if Parker is forced to miss time after exiting the game with an injury, but perhaps he'll have the chance to recuperate over the upcoming bye week. Stills (groin) does not carry an injury designation for Sunday's game against the Packers after practicing fully Friday. The Dolphins listed Stills (groin) as a limited participant at Thursday's practice, Armando Salguero of the Miami Herald reports. Stills (groin) was a limited practice participant Wednesday, Armando Salguero of the Miami Herald reports. Analysis: Stills returned from a one-week absence for Sunday's 13-6 win over the Jets, catching his only target for a 19-yard gain while handling his lowest snap share (49 percent) of the season. A full practice before the end of the week would allow for more confidence regarding his workload Sunday at Green Bay. Stills (groin) turned his only target into a 19-yard gain during Sunday's 13-6 win over the Jets. Analysis: Stills returned from a one-game absence, but there was speculation coming in that his workload could be limited due to treacherous field conditions. It's unclear if that actually had to do with his lack of significant usage, but his return to the lineup was quiet to say the least. Stills remains one of the only proven pass-catching options for Miami, so his role should increase once he's back up to full speed. Fantasy owners will hope that happens in Week 10 against the Packers. Stills (groin) is listed as active for Sunday's game against the Jets. Analysis: Stills evidently had a good pre-game workout after it was expected that he'd sit this one out. He joins a wideout corps that also includes Danny Amendola, DeVante Parker and Jakeem Grant. His return to action certainly bolsters the depth of the unit, but he's a speculative fantasy play in Week 9, while coming off his injury. Following a good pre-game workout, Stills (groin) is now expected to be active Sunday against the Jets, Ian Rapoport of NFL Network reports. Analysis: We'll await official confirmation of this nugget, but if the report is accurate, Stills would bolster a Miami wideout corps that also includes Danny Amendola, DeVante Parker and Jakeem Grant. Stills (groin), who is listed as questionable for Sunday's game against the Jets, won't be available to play, Adam Schefter of ESPN reports. Stills (groin) remains listed as questionable for Sunday's game against the Jets but is considered a "long shot to play," Ian Rapoport of NFL Network reports. Stills (groin) is listed as questionable for Sunday's game against the Jets, Joe Schad of The Palm Beach Post reports. Stills (groin) took part in the portion of Friday's practice open to the media, Joe Schad of The Palm Beach Post reports. Analysis: It won't be clear how much Stills was able to do until after practice concludes, but he was spotted running routes and catching passes, which is seemingly more than he was able to do the previous two days when he was listed as a non-participant. Stills' participation in Friday's session leaves the door open for him to return to action Sunday against the Jets. Stills (groin) wasn't spotted participating in practice Thursday, Cameron Wolfe of ESPN.com reports. Analysis: Stills has reportedly been pushing to play in Sunday's game against the Jets, per Adam H. Beasley of the Miami Herald but in order to do so, he'd probably need to get in a good practice Friday. If he's unable to play this weekend, the Dolphins' Week 9 wideout corps would be headed by DeVante Parker, Danny Amendola and Jakeem Grant. Stills (groin) was listed as a non-participant at Wednesday's practice, Adam H. Beasley of the Miami Herald reports. Stills (groin) was able to get some individual work in on the sideline during Wednesday's practice, Safid Deen of the South Florida Sun Sentinel reports. Analysis: Stills, who suffered the groin injury back on Oct. 21 against the Lions, missed his first game of the season in the Dolphins' Week 8 loss to the Texans. He'll have a better shot to play Sunday against the Jets, but the Dolphins won't have a good feel for his status until evaluating him during practices this week. The Dolphins will provide an update on the extent of his involvement in Wednesday's practice shortly after the session concludes. Stills (groin) will be sidelined for Thursday's game against the Texans, but his injury isn't considered significant, Ian Rapoport of NFL Network reports. Stills (groin) has been ruled out for Thursday's game at Houston and could miss time beyond Week 8, Cameron Wolfe of ESPN.com reports. Analysis: The Dolphins have already been playing without Ryan Tannehill (shoulder) and are now looking at a potential multi-week absence for Stills and possible season-ending injury for Albert Wilson (hip). Brock Osweiler will throw passes to Danny Amendola (shoulder), Jakeem Grant and DeVante Parker against a red-hot Houston defense Thursday night. 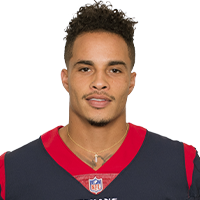 Stills (groin) was listed as a non-participant on Monday's injury report, but he may still have some chance to play Thursday night against the Texans, Cameron Wolfe of ESPN.com reports. Analysis: A previous report suggested Stills was a long shot for Thursday after he suffered a groin strain in Sunday's 32-21 loss to Detroit. With Albert Wilson (hip) seemingly headed for a multi-week absence, the Dolphins may have little choice but to reintegrate DeVante Parker into their offense alongside fellow wideouts Danny Amendola (shoulder) and Jakeem Grant. Stills is dealing with a strained groin and is unlikely to be ready for Thursday's game against the Texans, Ian Rapoport of NFL Network reports. Analysis: Stills will have an MRI on Monday after exiting Sunday's 32-21 loss to Detroit in the fourth quarter. With Albert Wilson suffering a hip injury that appears to be significant, the Dolphins may have no choice but to turn back to DeVante Parker alongside Danny Amendola and Jakeem Grant in three-wide formations. Stills limped into the locker room after suffering an unspecified injury late in the fourth quarter of Sunday's loss to the Lions, ESPN's Cameron Wolfe reports. 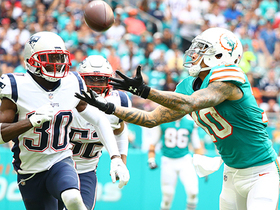 Analysis: With DeVante Parker (quad) inactive and Albert Wilson (hip/leg) also forced out of the contest, Danny Amendola and Jakeem Grant ended up being the team's only wideout options to close Sunday's game. Stills finished up his Week 7 effort with a five-yard TD catch on three targets. Stills caught one of his two targets for 35 yards during Sunday's 31-28 overtime win against the Bears. Analysis: Stills continues to earn a healthy dose of offensive snaps -- 67 of 78 in this game -- but the big-play threat has more or less been quiet in four of the last five outings. With five catches of 20-plus yards and three touchdowns among his 26 targets, it's only a matter of time before he strikes again. An upcoming matchup with the Lions may do the trick, as their defense has allowed 9.6 YPT and five TDs to wide receivers in five contests this season. Stills brought in two of five passes for 17 yards during Miami's 27-17 loss to the Bengals on Sunday. Analysis: Stills was once again stifled in Week 5, a game in which quarterback Ryan Tannehill logged only 185 yards, one touchdown, two interceptions and a fumble. The 26-year-old wideout has been held to under 50 yards in each of the last two weeks, and he'll be difficult to trust as a fantasy starter as long as the Dolphins' passing game continues to flounder. Stills faces another difficult defensive matchup against the Bears next week. 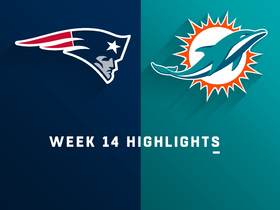 Stills brought in three of six targets for 40 yards in the Dolphins' 38-7 loss to the Patriots on Sunday. 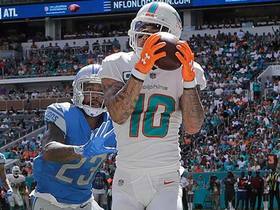 Analysis: Stills' modest receiving yardage tally paced the Dolphins during their lackluster offensive performance, but he disappointingly failed to parlay the absence of fellow wideout DeVante Parker (quadriceps) into any meaningful production. The sixth-year veteran hasn't logged more than four catches in any contest this season, although he has rewarded fantasy owners with three touchdowns. Stills will look to up his overall numbers against the Bengals in Week 5. Stills nabbed three of five passes for 61 yards and a touchdown in Sunday's 28-20 win over the Raiders. 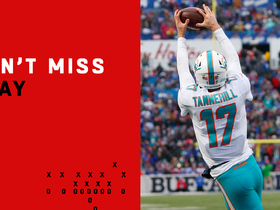 Analysis: Stills scored on a 34-yard pass from Ryan Tannehill, logging his third touchdown in as many games. The 26-year old remains an upside play despite lackluster target volume, even with DeVante Parker having returned to Miami's lineup. Stills will attempt to flash his big-play ability once more against New England in Week 4. Stills was held to two catches for 17 yards on three targets in Sunday's 20-12 win over the Jets. Analysis: No Dolphins receiver topped 40 yards in this one, as Miami capitalized on New York's turnovers and scored on short fields without generating much yardage. 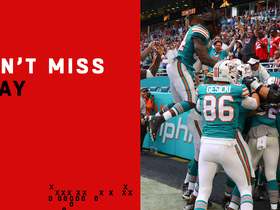 Albert Wilson scored a 29-yard touchdown, but Stills should still be treated as Miami's top wideout moving forward. Stills hauled in four of five targets for 106 yards and two touchdowns in Sunday's 27-20, season-opening win over the Titans. Analysis: Stills scored Miami's first touchdown of the season on a 10-yard reception in the second quarter, then got free deep for a 75-yard score in the fourth. He showed a tremendous rapport with quarterback Ryan Tannehill, which bodes well for Stills' chances of finding future success as the top weapon in an otherwise underwhelming receiving corps. Stills brought in all three of his targets for 28 yards in the Dolphins' 27-10 preseason loss to the Ravens on Saturday. Analysis: The veteran speedster was able to overcome his recent ankle woes to practice from Tuesday onward this past week, and it was encouraging to see him back on the field after he'd missed last week's loss to the Panthers. With DeVante Parker's status for the regular-season opener squarely in doubt due to his hand injury, Stills doesn't figure to play in next Thursday's preseason finale against the Falcons. Stills (ankle) returned to practice Tuesday, Armando Salguero of the Miami Herald reports. Analysis: This is excellent news for a Miami team that isn't quite sure if DeVante Parker (hand) will be ready for Week 1. Stills should have time to ramp up his activity level in practice before Saturday's preseason game against the Ravens, but it won't be too surprising if he's held out anyway. Coach Adam Gase expects Stills (ankle) to return to practice this week, Barry Jackson of the Miami Herald reports. Analysis: This reinforces the notion that Stills should be ready for the Dolphins' third preseason game against the Ravens on Saturday. Once his health is re-established, Stills figures to be locked into a regular role in the Miami offense as the team's top downfield weapon. Stills is considered day-to-day with ankle and calf injuries, Jason Lieser of the Palm Beach Post reports. Analysis: Stills was unable to play in Friday's preseason loss to the Panthers due to his pair of lower-leg injuries, but coach Adam Gase expects the receiver to be ready for the Dolphins' third preseason tilt against the Ravens next Saturday. With DeVante Parker (finger) still sidelined as well, expect Albert Wilson and Jakeem Grant to earn reps with the first-team offense alongside Danny Amendola. Stills (ankle) isn't in line to play Friday night against the Panthers, Chris Perkins of the South Florida Sun-Sentinelreports. Analysis: With Stills tending to ankle issue, his next chance to suit up will arrive next Saturday against the Ravens. With both Stills and DeVante Parker (finger) sidelined, Albert Wilson and Jakeem Grant are slated to draw starts at wideout Friday. Stills (ankle) isn't participating in the Dolphins' practice Monday, Armando Salguero of the Miami Herald reports. Analysis: Stills will be on the sideline for a second consecutive practice after he sustained an ankle injury at some point during last week's preseason opener against the Buccaneers. The Dolphins haven't offered much insight regarding the extent of Stills' setback, but it's expected that the wideout will be back on the field in short order. Once healthy, Stills will be locked into a regular role on offense as the Dolphins' top downfield weapon. Stills will miss Sunday's practice due to an ankle injury, Armando Salguero of the Miami Herald reports. Analysis: Stills likely suffered the injury during Thursday's preseason opener against Tampa Bay, catching two passes for 20 yards in the process. He can probably afford to miss some time at practice, considering there isn't much question about his role as a starting wideout and Miami's top deep threat. The Dolphins do run four or five deep at wide receiver, so Stills will have tough time matching last year's career-high mark of 106 targets. 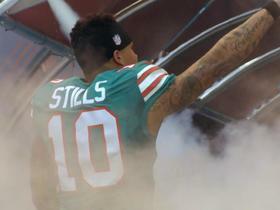 Stills is one of four Miami wideouts with considerable starting experience, joined by DeVante Parker and offseason acquisitions Albert Wilson and Danny Amendola, Barry Jackson of The Miami Herald reports. Stills revealed he played through a torn tendon on a finger in his right hand most of the 2017 season but he will not require surgery this offseason, Jason Lieser of the Palm Beach Post reports. Stills hauled in four receptions for 54 yards on six targets as the Dolphins lost to the Chiefs 29-13 on Sunday. Analysis: Stills has had a solid season for Miami as the third wide receiver with 55 receptions for 813 yards and six touchdowns. Quarterback Jay Cutler has developed solid chemistry with Stills as evidenced by his being targeted as least six times in eight of his last 10 games. Stills isn't the reception monster that Jarvis Landry is but he is still a valuable member of the Miami passing offense. Stills caught one of six targets for eight yards during Sunday's 24-16 loss to Buffalo. 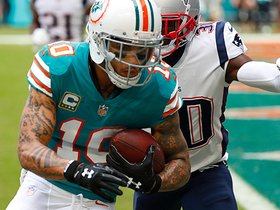 Stills only had two receptions for 18 yards as Miami defeated New England 27-20 on Monday night. Stills brought in five of 13 targets for 98 yards and a touchdown in Sunday's 35-9 win over the Broncos. Stills hauled in three of six targets for 47 yards in Sunday's 35-17 loss to the Patriots. Stills (back) gathered in seven of eight targets for 180 yards and one touchdown in Sunday's 30-20 loss to the Buccaneers. He also fumbled once. Stills (back) is active for Sunday's Week 11 tilt against the Buccaneeers. Analysis: Stills wrapped up the practice week with a missed session Friday, but that move may have been largely precautionary. The speedster will thus be available against a vulnerable Buccaneers secondary that has given up a 7.8 YPA and 266 passing yards per game, both bottom-five figures. Stills (back) is expected to play Sunday against the Buccaneers, according to NFL Network's Ian Rapoport. Analysis: Stills' availability was in question after being unable to practice Friday, but he's apparently good enough to go despite being officially listed as questionable to play. It's certainly a solid opportunity, with the Bucs greatly struggling against the pass this season. Stills (back) is listed as questionable for Sunday's game against the Buccaneers after being listed as a non-participant at practice Friday, Adam H. Beasley of the Miami Herald reports. Stills (back) wasn't in attendance for the start of the Dolphins' practice Friday, Armando Salguero of the Miami Herald reports. The Dolphins listed Stills as a limited participant in Thursday's practice following his early departure due to a back injury, Adam H. Beasley of the Miami Herald reports. Analysis: It's generally expected that Stills will suit up for Sunday's game against the Buccaneers, but his involvement in some capacity during Friday's practice would certainly help alleviate any lingering concerns. Stills failed to make much of an impact in the Dolphins' passing attack early on in the season, but he's raised his performance over the team's last four games, topping 65 yards three times and scoring twice during that span. Stills left Thursday's practice with an unspecified injury, Armando Salguero of the Miami Herald reports. Analysis: Per the report, it is believed that Stills' back flared up Thursday, but we'll look for added clarity on that front upon the release of the Dolphins' practice report. More importantly, Salguero relays that the wideout is expected to be fine for Sunday's game against the Buccaneers. Stills had a team-leading 67 yards receiving on five receptions in Miami's 45-21 loss to Carolina on Monday. Analysis: The Dolphins were forced to pass for most of the second half as the Panthers were piling on points. Should this kind of defense continue by the Dolphins, the Miami wideout corps, including Stills, will be the primary beneficiary as the team will have to throw early and often in order to stay competitive. Stills caught three of his four targets for 28 yards in Sunday's 27-24 loss to the Raiders. Analysis: Stills was on the field for all but one of the Dolphins' 67 snaps on offense Sunday, but he ended up seeing less targets than both DeVante Parker (eight) and Jarvis Landry in the contest. With Parker back in the mix, Stills' production could be sporadic in the coming weeks. Miami Dolphins querterback Ryan Tannehill catches for a 3-yard touchdown thrown by Miami Dolphins wide receiver Kenny Stills. Miami Dolphins running back Kenyan Drake takes in an epic touchdown on the game's final play to beat the New England Patriots. The Miami Dolphins execute two perfect laterals on the game's final play and defeat the New England Patriots 34-33 in Week 14 of NFL action. 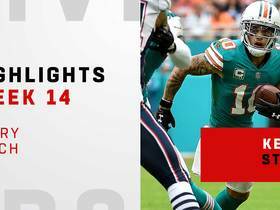 Miami Dolphins wide receiver Kenny Stills catches eight passes for 135 yards and a touchdown in a 34-33 upset over the New England Patriots in Week 14 of NFL action. Miami Dolphins quarterback Ryan Tannehill launches a deep pass to wide receiver Kenny Stills for 43 yards. Miami Dolphins quarterback Ryan Tannehill rolls into space and finds wide receiver Kenny Stills for a 7-yard touchdown. Miami Dolphins quarterback Ryan Tannehill finds wide receiver Kenny Stills for a 13-yard touchdown. 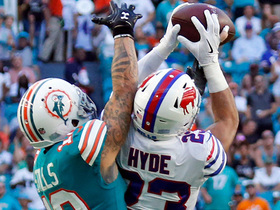 Buffalo Bills safety Micah Hyde intercepts Miami Dolphins quarterback Ryan Tannehill for an interception on the play after Miami's interception. Miami Dolphins QB Brock Osweiler finds wide receiver Kenny Stills for a 5-yard touchdown catch. NFL Network's Mike Silver talks with Miami Dolphins Kenny Stills about his work in the community.